A new exhibition, radio series and book will look at the nature of belief and how it has been important to all human societies. 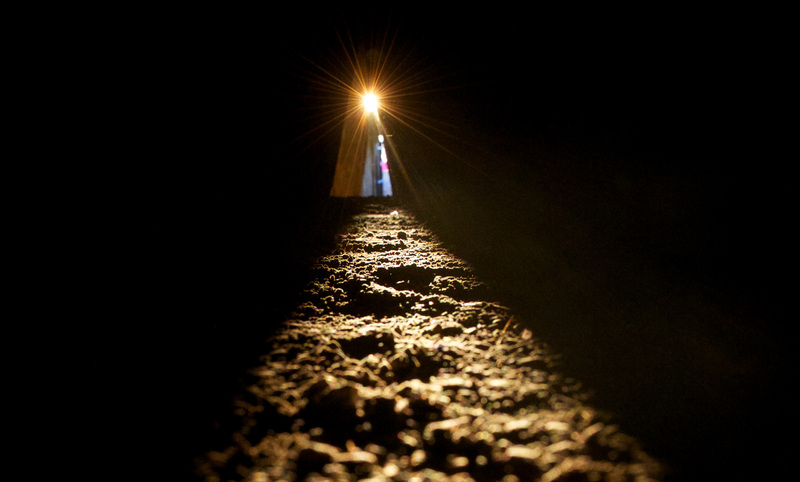 The sun shining into the inner chamber at Newgrange during the Winter Solstice. The passage tomb in Co. Meath was built over 5,000 years ago. Photo: Alan Betson/The Irish Times. For the last 40,000 years – for as long as human beings have had the same sort of brain as we do – groups of people living together have tried to find patterns underlying the natural world on which they depend. All groups appear to come to a shared narrative, which seeks to explain their community’s place in the world, and to reconcile the transience of an individual life with the enduring existence of the group. They also seem to develop rituals which reinforce the belief in that narrative, and articulate the place of every individual within it. Diptych of the Resurrection and Descent of the Holy Ghost. 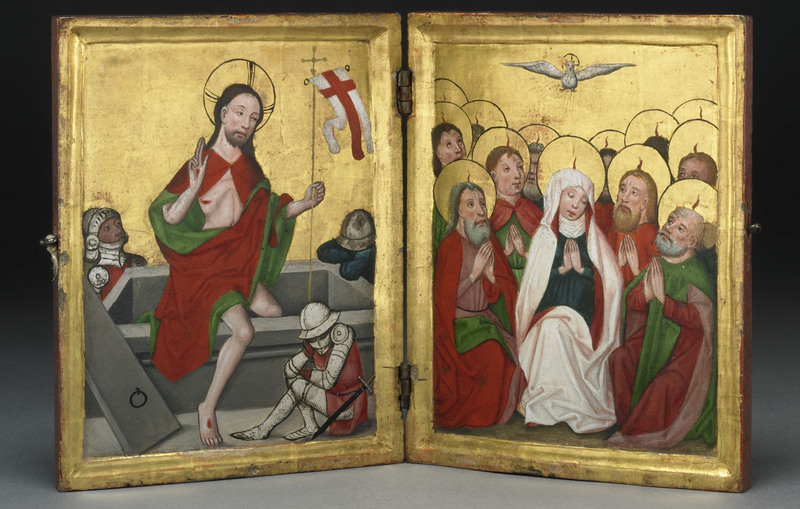 These miniature painted panels show Christ rising from the grave and his mother and followers receiving the spirit of God, shown as flames on their heads. Made in Swabia, Bavaria, Germany, 15th century. Believing and belonging appear, everywhere in the world, to be closely connected phenomena. To be a member of a group has, throughout human history, been to share its story and to participate on a regular basis in its enactment. These communal expressions of faith have been manifested in the objects used in or for religious practices. These stories appear to be a virtually universal phenomenon. They usually articulate social behaviour and accommodate both the dead and those not yet born within one narrative. They are valuable forces for survival where communities confront threatening natural phenomena, such as Ice Age winters, drought or disease, or recurrent dangers like war. The stories and the rituals together are powerful forgers and markers of a shared identity. Even today, groups confronted by other existential threats often choose to reaffirm this pattern of believing and belonging. 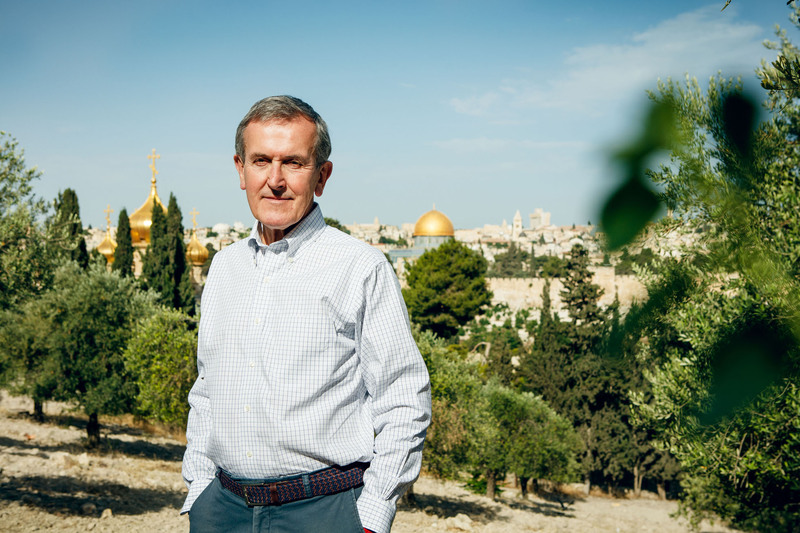 Neil MacGregor in Jerusalem overlooking the Old City. © BBC. Photo: Charlie Clift. The British Museum is embarking on a 30-part radio series, written and presented by former Director Neil MacGregor, and an accompanying exhibition which seeks to explore this apparently global human phenomenon. The project is the fourth partnership between BBC Radio 4 and the British Museum, following on from A History of the World in 100 objects, Shakespeare’s Restless World and Germany: memories of a nation. As always the starting point for the project is the British Museum’s collection. Its depth and breadth means it is possible to find objects that reflect both living religious practices and faiths long extinct. 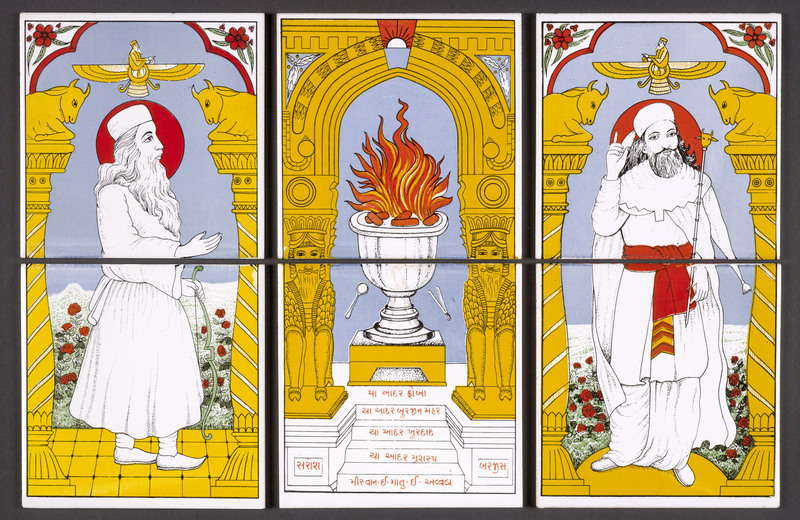 While the questions and predicaments of humanity remain fairly constant, there is a wide variety of narratives and responses which are embodied in stories told and the different objects produced as part of religious practice. The Lion Man. Stadel Cave, Baden-Württemberg, Germany, 40,000 years old. The oldest known evidence of religious belief in the world. © Ulmer Museum. 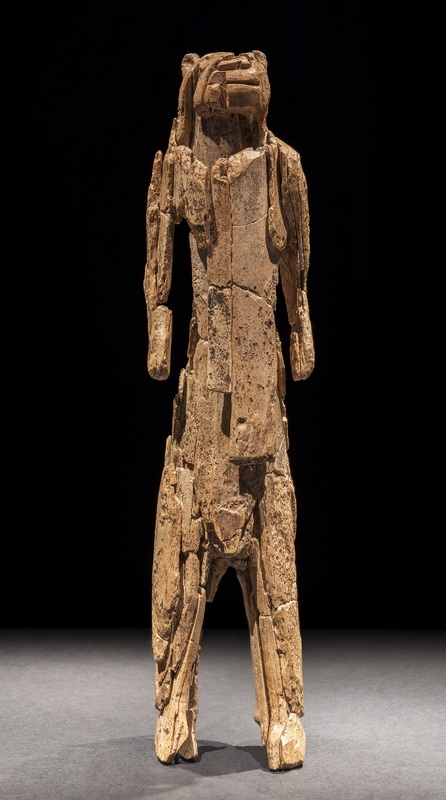 The series and exhibition both begin with a remarkable 40,000-year-old mammoth ivory sculpture known as the Lion Man. Depicting a lion’s upper body on the lower half of a man, it is the oldest known image of a being that does not exist in nature. It is the earliest evidence we have of beliefs and practices, and shows humans’ unique ability to communicate what’s in our minds through objects. The focus moves from the emergence of societies to the elemental commonalities in all societies – fire, water, light and the seasons. The exhibition then looks at life and death, the protection of mother and infant, becoming an adult and the daily and weekly practices associated with faith. The show will also examine pilgrimage, looking specifically at Canterbury in Kent and Sarnath in India, festivals including the ancient Roman Saturnalia, Christmas, Kumbh Mela and the Siberian Ysyakh, and the concept of sacrifice, including ancient Greek animal sacrifice and Aztec human sacrifice. 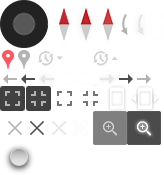 Objects will reflect polytheism, monotheism and atheism. The idea of living without gods is examined through objects from the French Revolution and the Soviet Union. 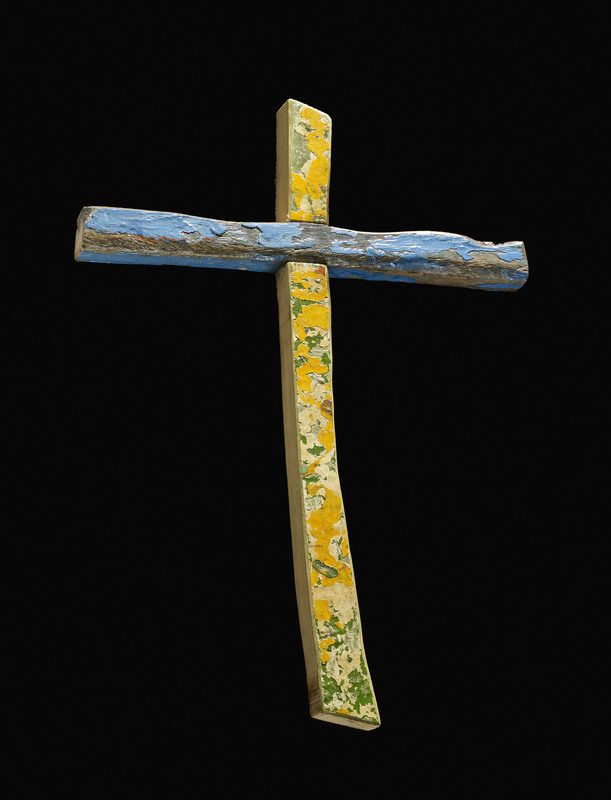 The Lampedusa cross made from pieces of a boat wrecked off the coast of Lampedusa, Italy, carrying refugees from Somalia and Eritrea. Made by carpenter Francesco Tuccio, 2014. We conclude with the Lampedusa cross, a contemporary symbol of hope. The cross was made by Francisco Tuccio for refugees who had survived their boat sinking off the island of Lampedusa. At a time when the refugee crisis is placing huge extra demands on a small community, they are still able to think about the plight of others and go beyond protecting their self-interest, offering solace and hope through an expression of shared faith – transcending ethnic and cultural differences. The radio series will broadcast from 23 October 2017. The exhibition opens on 2 November 2017. Living with the gods by Neil MacGregor will be published by Allen Lane in March 2018.